Any business looking to grow their leads and bring in more customers, knows that social media these days is (I won’t say necessary, because I’ve seen people forego social media and still make it) but social media is one of the most powerful tools for businesses. The numbers of regular daily users is enough to convince me it is best for my business. But today we are focusing on the second step – list building and email marketing. Once you get a potential client into your social media space, you want to take them a step further into the journey with you. Think of all these steps as a Funnel. I won’t bore you in this article with numbers, you can read those over in the OptinMonster article for the numbers on email versus social media. But I want to show you that YOUR gym can benefit from having a strong email list. I tell my clients all the time our online efforts are to get more people on to your list. We are not trying to sell straight from Facebook. But you keep that option open, because 20% of people who buy off social media, is still a great number. But I want to ask everyone to be on my email list. Even those social media buyers. Talk to your list even if your social media account gets suspended, terminated or ends. Share what is going on in your world weekly. You can talk more intimately with your email list. Since it’s not publicly plastered across social media, you can get deeper into conversations here. That is why people sign up for email. They already decided they like you and want to know more. Give it to them. Give special offers because they are on your email list. Make it a “vip” type feel. They are special because they are on your email list, make them feel special for sharing their inbox with you. Your list has seen you online and your emails. 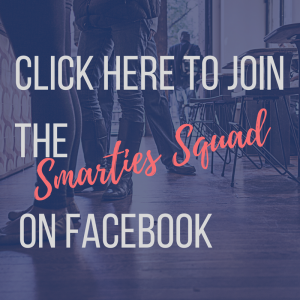 Now when you have a special offer or event you can talk with them about it and they are going to be more likely to take you up on offers than people who know nothing about you from a Facebook Ad or a social media post they are seeing for the first time. Just like with offers, you have an attentive audience who will be glad to hear about local events you are holding. Maybe they have been hesitant to try your gym, or unsure if it’s a fit for them. Holding a local event and inviting your list will help nudge some people a little more. Like in the last point, some people are on your email list lurking because they aren’t quite sure if they can commit, if your gym is right for them, and are maybe a little scared to jump in just yet. The more behind the scenes you can give them, the more comfortable and familiar they will become and when they walk into your gym, it’s familiar already. Like the last two points. Those on the face can warm up to the idea of what it’s like to work out at your gym, walk into the gym and what to expect. Group programs? Show them what those programs look like, how they can benefit and share the experiences of others. Solo workouts? Talk about the gym environment, the feel, how to navigate your gym. Give them a heads up of what to expect before they even walk into your gym. So many clients tell me that their success stories are what bring them more customers. Unfortunately those Before and Afters are not favored by social media platforms. So while you can talk about success stores and show before and afters in your posts, you can dive deeper into those stories and (unlike on Facebook) you can turn this email into an offer to your customers. To get your audience to know YOU and your Philosophy and see if it’s a good fit. Your email list is where people are going to see if they really do like you and think your services or your gym are the right place for them. You have something special and different to offer, show that off. This helps not only you but your staff and your potential clients. You want to bring in the people who are a right fit, not just anybody and everybody. Automate your Funnel process! Without coming across salesy or cold. List building is just one part of your overall sales funnel. It’s where you should spend a lot of your time, because these are the people who you pulled in (traffic) and are now warming up to become paid clients. People think of a funnel and email marketing as cold and salesy, but it’s not. This is where the magic happens, where the relationship begins and while you might have some emails that go to every single person who comes onto your list, they are personal. More personal than your social media posts might be. If you follow the tips above you can achieve a better quality email list than your competitors because your emails will be more personal, connected and valuable to your potential clients. Remember you are warming up the lurkers/fence sitters. Use behind the scenes photos, stories, information to draw people further in. Think about your potential clients and WHERE THEY ARE STARTING (new to fitness? experienced and want to take it to the next level?) and talk to them in that voice and share the information they need for where they are to take the next step with you. (This pertains to ALL of your marketing messages). Are you struggling to come up with topics? 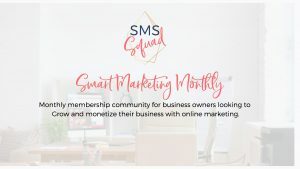 I created a free Social Media Planner for Fitness Professionals and not only can it help you plan your social media out quickly each month, but you can use it for your Email Marketing too! Click the Button below for your FREE SOCIAL MEDIA PLANNER FOR FITNESS PROFESSIONALS!